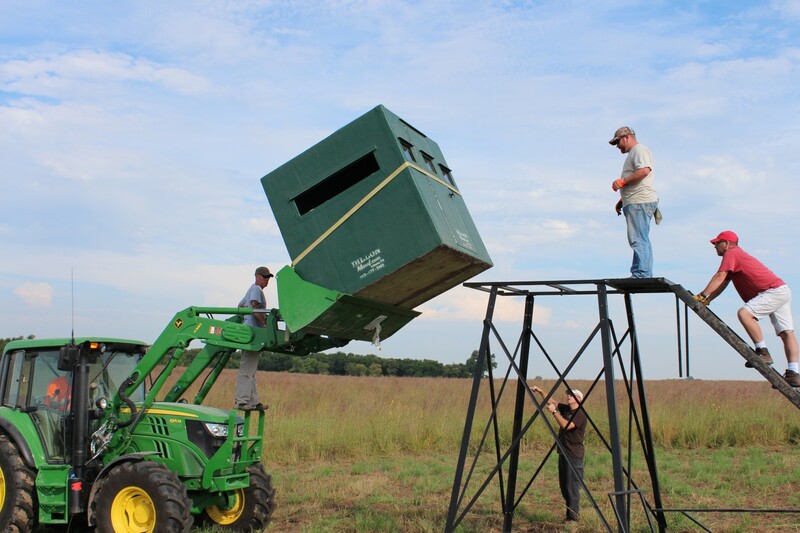 The Big Game Conservation Association has accomplished many projects since our humble beginnings. The projects below are only the beginning of what we plan to accomplish over the years! Not only are we dedicated to the preservation and improvement of current public lands but the acquisition of more land for public access. 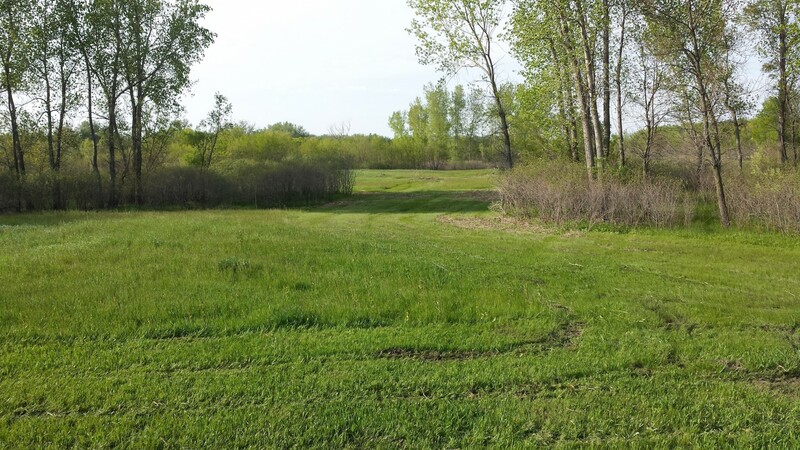 As a long term goal, the BGCA has plans to purchase private lands to manage and place into public access. 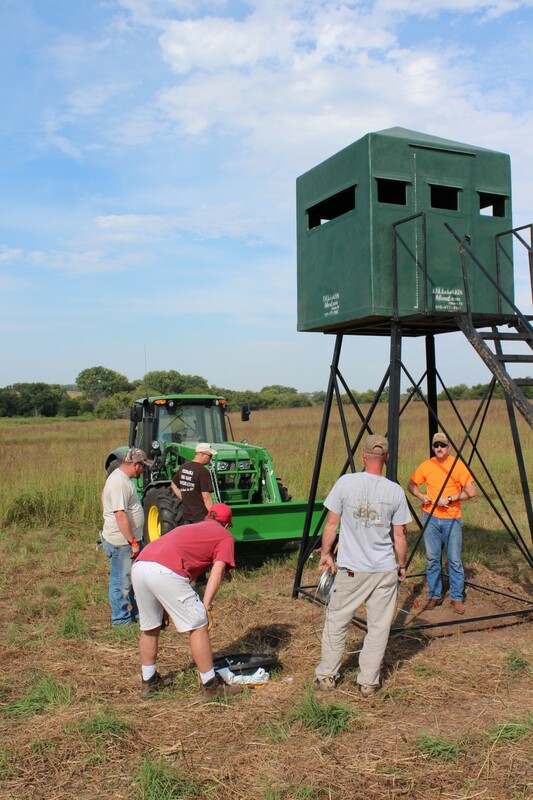 In the summer of 2014, the Big Game Conservation Association began work at Powderhorn Wildlife Management Area (WMA). With the flooding over the last several years there has been a problem with invasive tree species and plants. 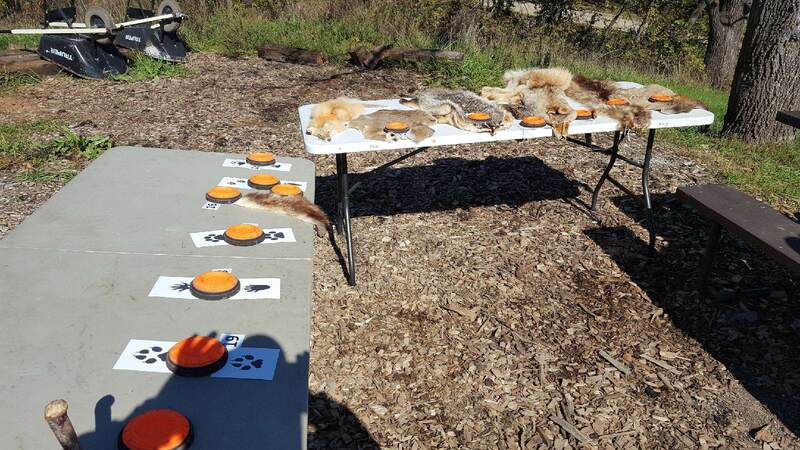 After extensive planning and preparation with Nebraska Game and Parks biologist, Russ Hamer, a target goal was reached and work began in early June. The first objective was to clear several areas of problem saplings and undergrowth. 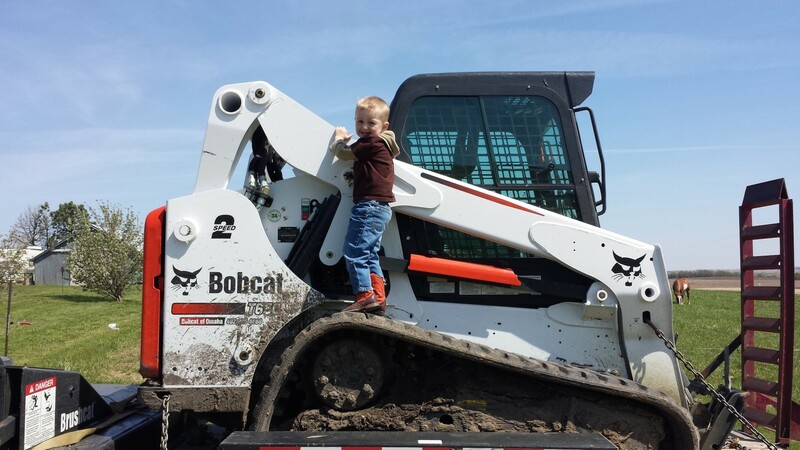 The BGCA used a Bobcat Skid Steer with a Brush Cutter attachment to accomplish the huge task. 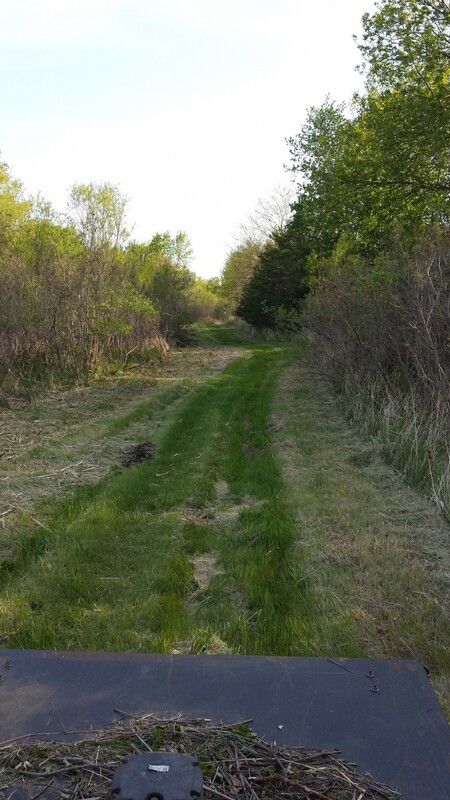 Over a two day period approximately 10 acres was cleared of unwanted brush. 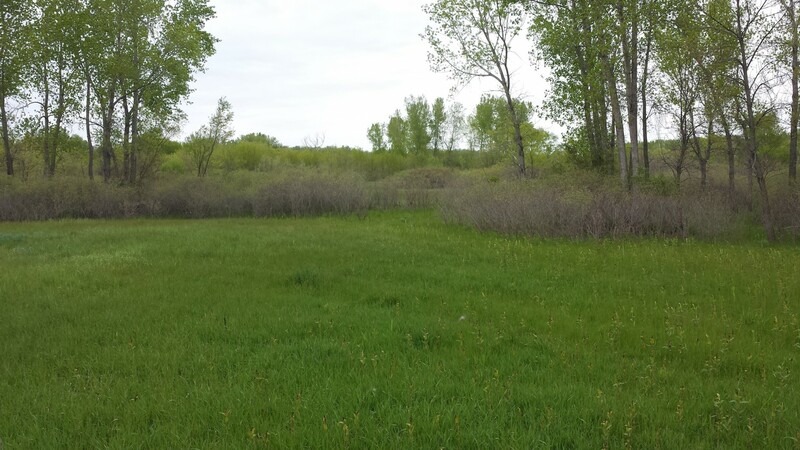 Once the brush was cleared these areas along with about 3 acres of established planting areas were sprayed. 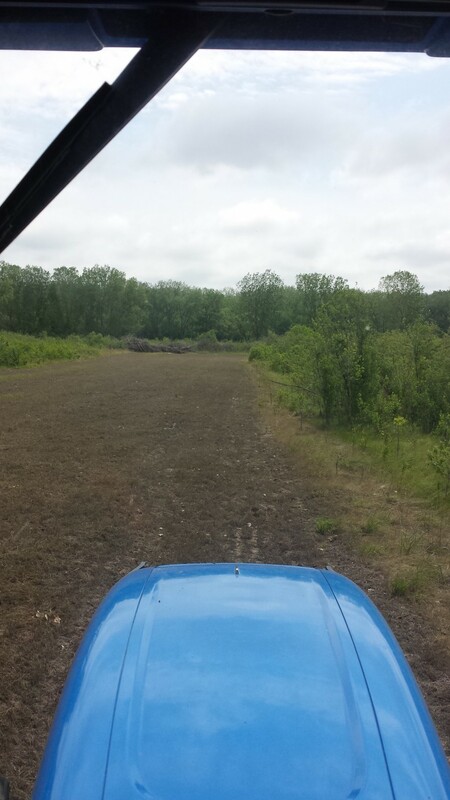 There is an additional 1 acre area that is an established planting area but it was not sprayed. 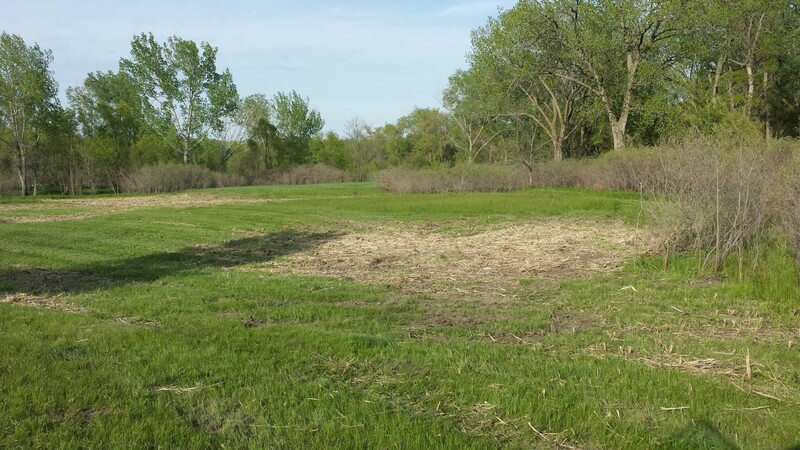 The previous year’s growth and leftovers made for ideal brood cover for pheasants, turkeys and other small critters. Each year one of the areas will be planted with a blend that provides spring brood cover and remain untouched until the following year. 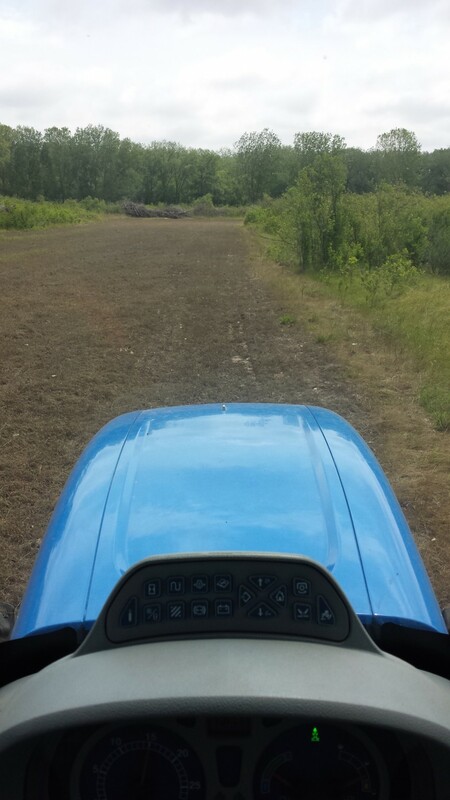 The established planting areas were seeded with a No Till Drill which was on loan from the local Pheasants Forever Chapter. Each area was around one (1) acre and planted in different seed blends. The first was a perennial blend of alfalfa and clovers while the 2nd was a grain with brassicas blend. 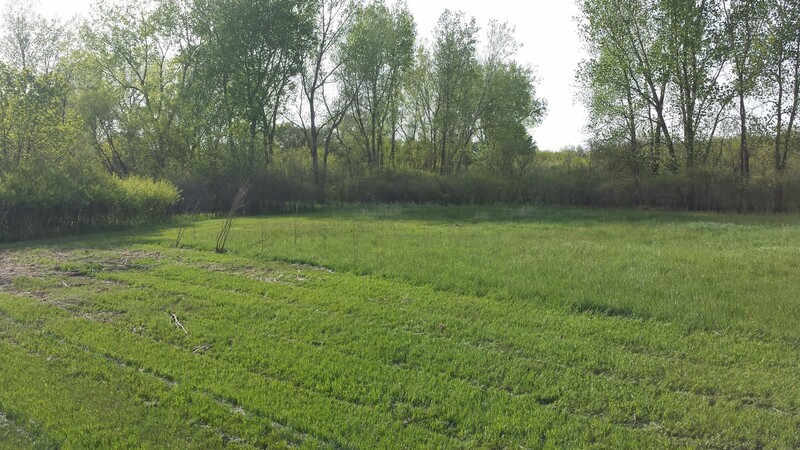 The 3rd was a mix of different sorghums and tall grasses with clover to create the brood cover area for the spring of 2015. Of course, each year these planting areas are prepared and seeded again. 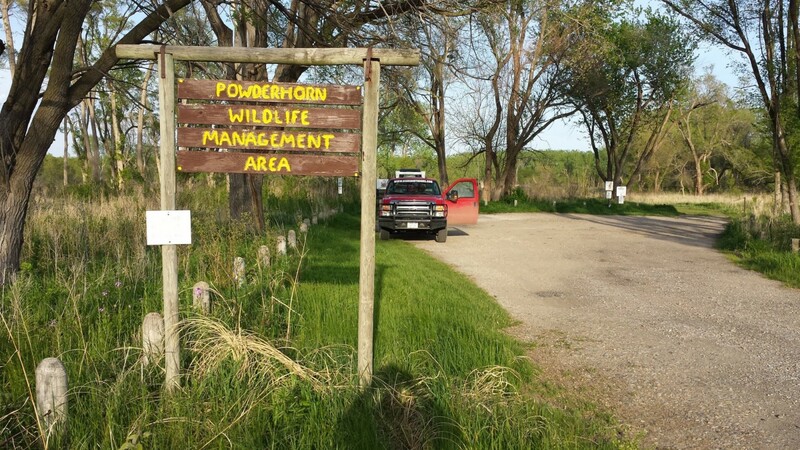 While members were at Powderhorn WMA for the planting efforts a massive cleanup was conducted in the immediate area of the parking lot. Over 5 large garbage bags were filled to capacity with trash left behind. Because of this we strongly encourage you to pack out what you bring in and keep our parks clean! 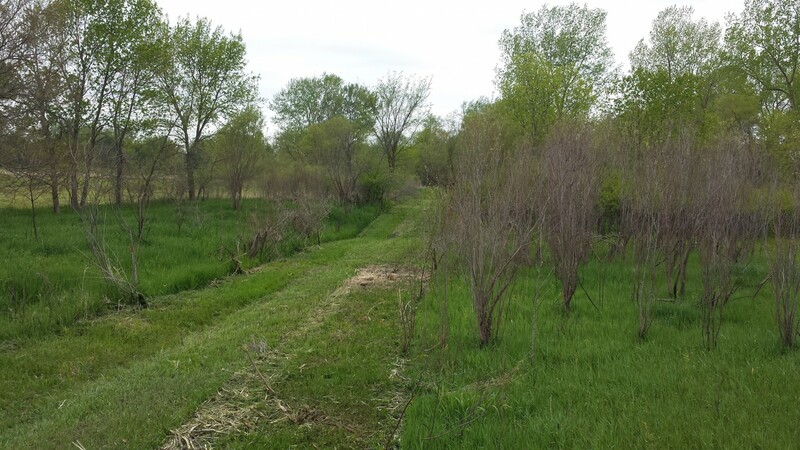 During 2015, work will continued for clearing and planting. Many of the areas cleared of unwanted brush in 2014 were prepared and planted in an alfalfa clover mix to create green line fire breaks. 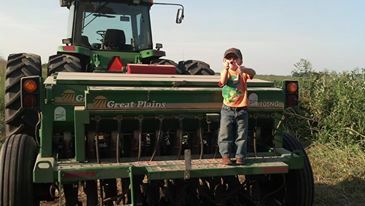 Special Thanks to Dinkel’s Implement in Scribner for donating the use of a tractor to pull the No Till Drill on loan from the Dodge County Pheasants Forever Chapter. 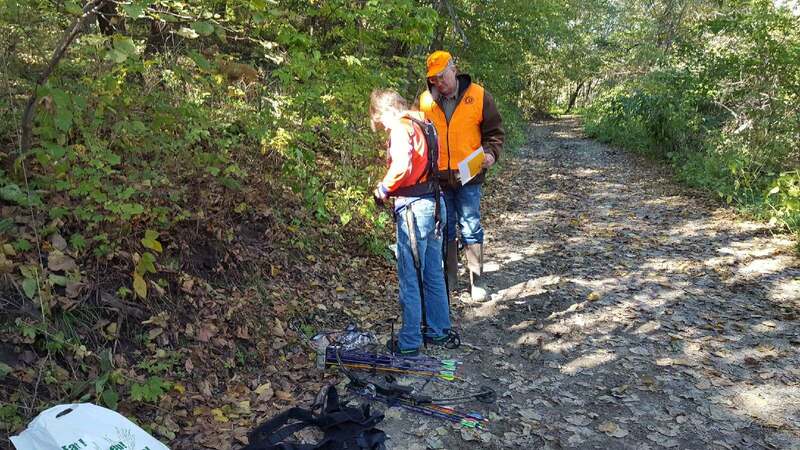 Our organization feels that youth are the future of conservation and our hunting heritage. 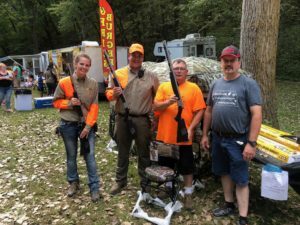 With this in mind, what better place than Lake Wanahoo – a youth only hunting area – to begin our projects and develop a long-standing relationship with the Natural Resource Districts and Nebraska Game & Parks. 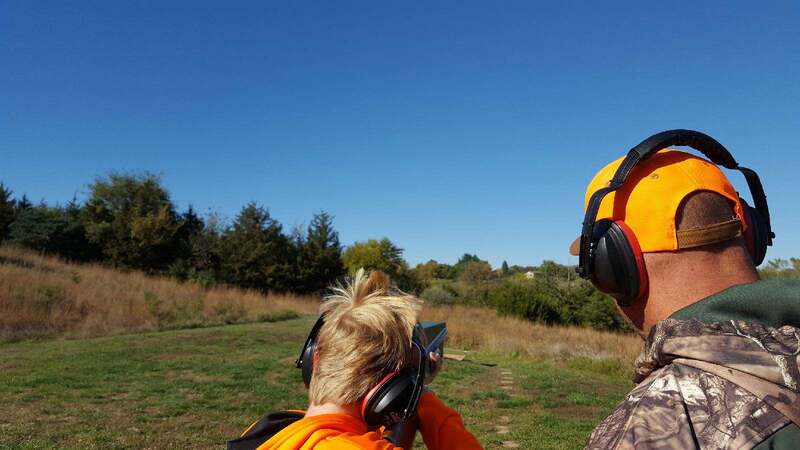 Provided that there are hunting and wildlife viewing opportunities, kids are more likely to be encouraged to get out and enjoy the great wonders the Nebraska outdoors have to offer! 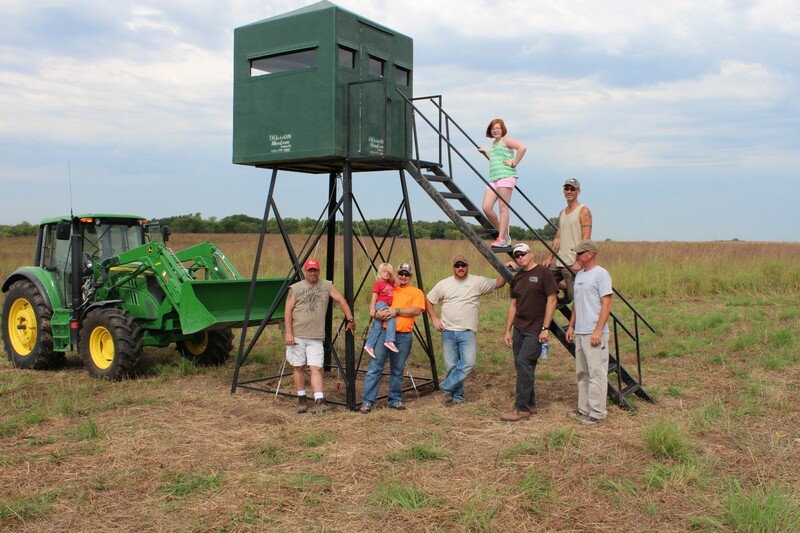 We are not new to these types of projects and many of us have planted food plots on our own properties for years, held educational field days, constructed permanent structure blinds and many other events to enhance habitat for the wildlife. 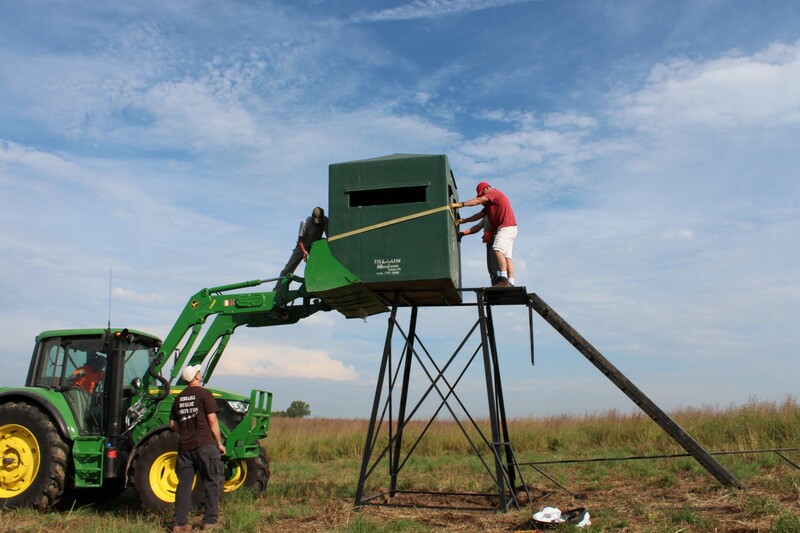 In the summer of 2013, the Big Game Conservation Association began work at Lake Wanahoo Recreation Area. 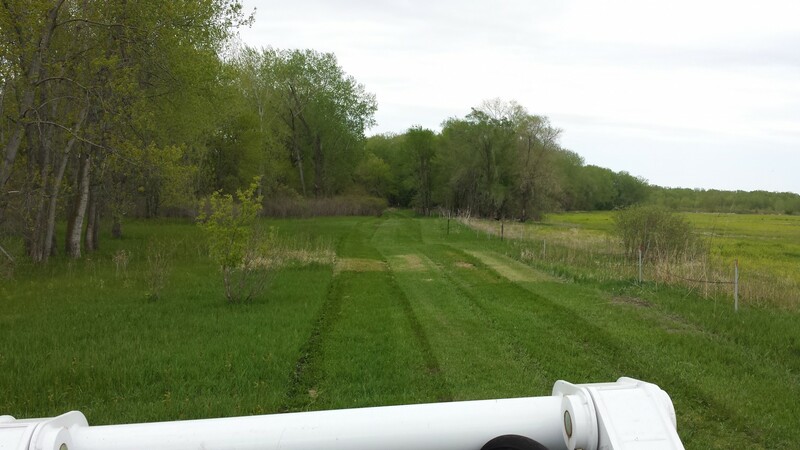 At the north end of the lake, around 15 acres of ground was sprayed, mowed, tilled and then planted. 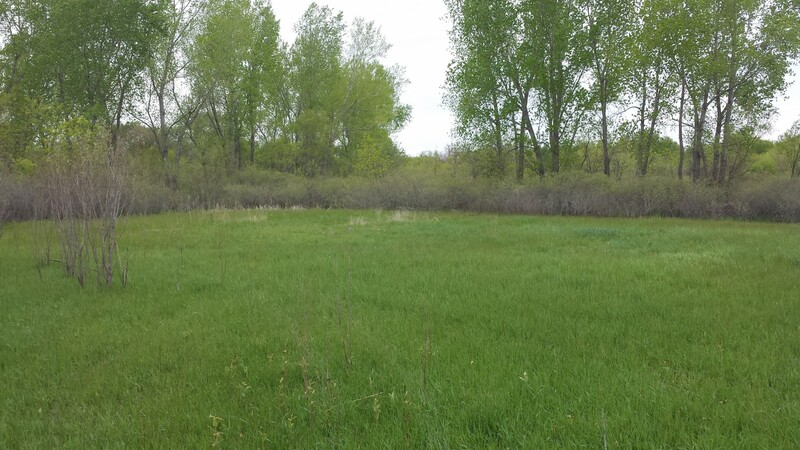 Approximately 12 acres was planted in an alfalfa/clover mix along the tree line to create a green fire break. 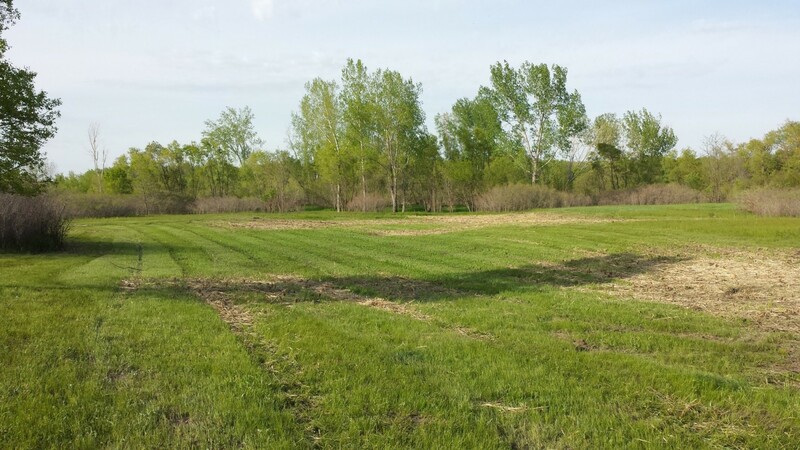 We also wanted to establish an annual food plot that would provide additional nutrition to the deer and other wildlife that frequent this area. 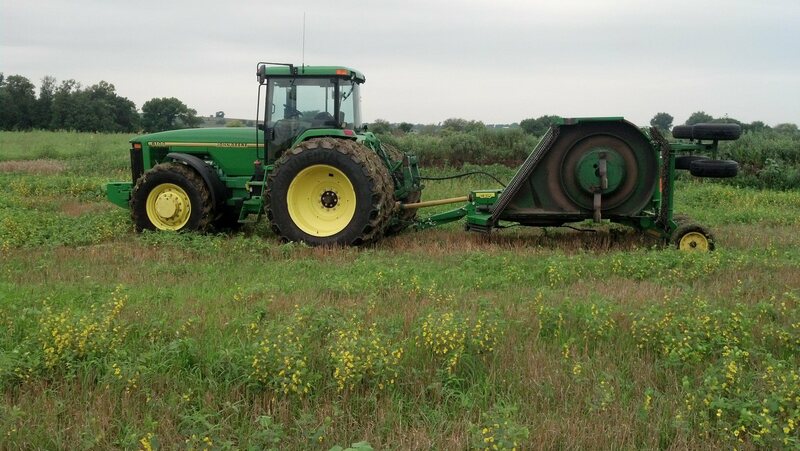 With that in mind, around 3 acres was planted in a mix of sorghums, clover, brassicas and other grains. This area is replanted each year. 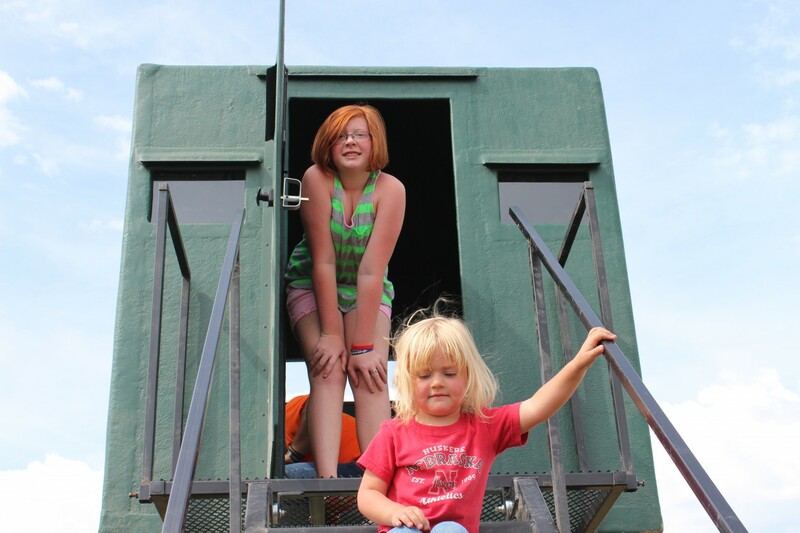 In an effort to encourage more mentors to take youth hunting during the cold months a Dillon Manufactured blind was erected on a 10′ tower with porch and staircase. 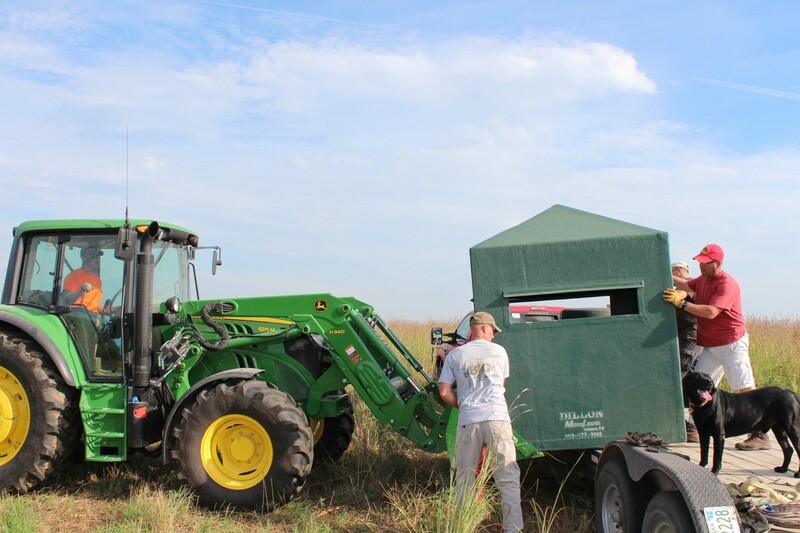 The blind is used extensively for hunting along with bird watching and photography since it is just outside the bald eagle nesting area. 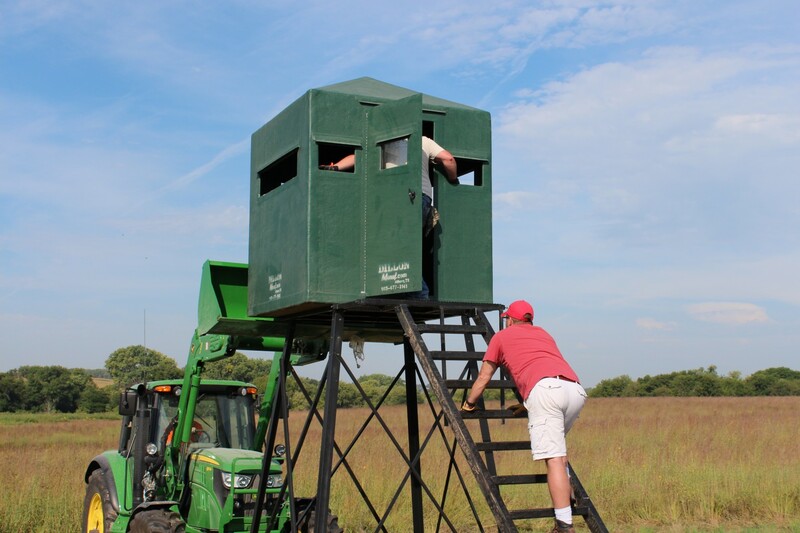 You are encouraged to use the blind for all wildlife activities and we ask that you visit our Facebook page that we have created to monitor use. Please feel free to check in and share your photos and/or experiences with us! 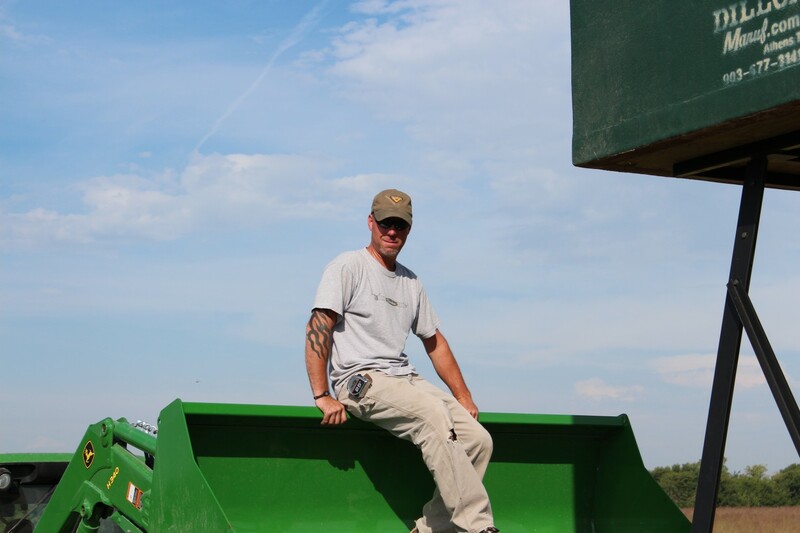 Special Thanks to Platte Valley Equipment in Wahoo for donating the use of two different John Deere tractors and a batwing mower. 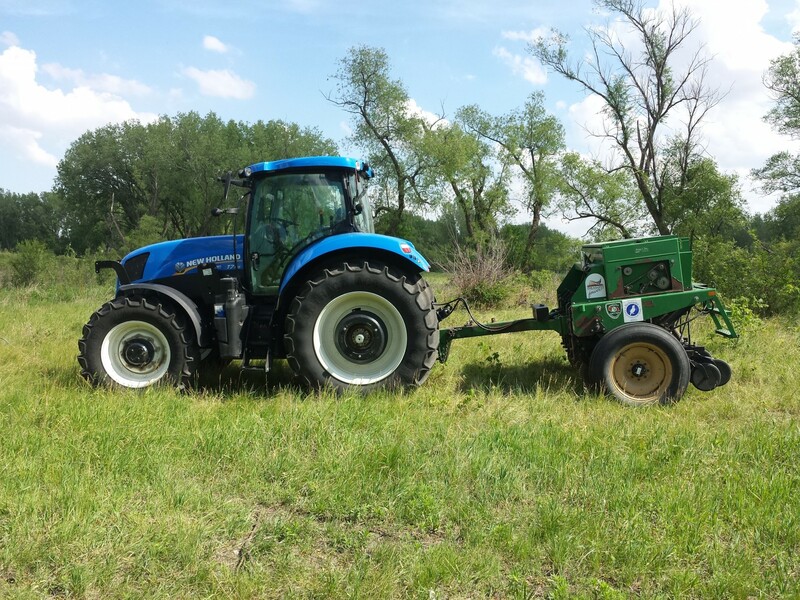 We would also like to Thank the Lower Platte Pheasants Forever Chapter for donating the use of their No Till Drill for our project. 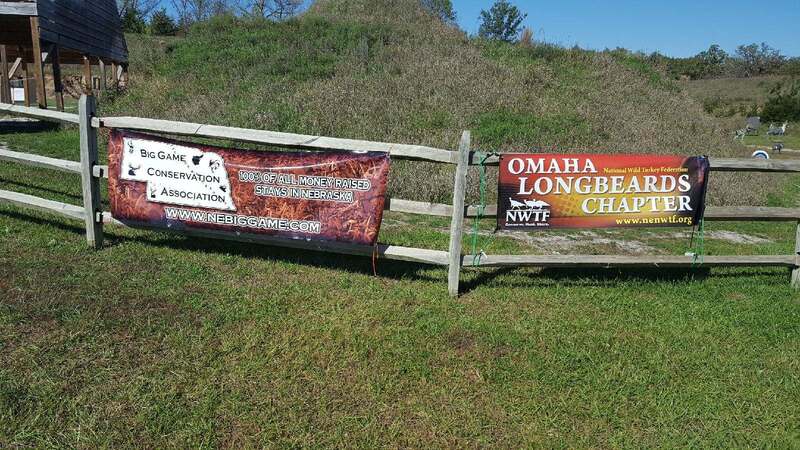 The Hunters Helping the Hungry Program was established in 2012 and since its inception has provided nearly 100,000 pounds of ground venison to Nebraska families in need. With the number of deer donated increasing each year so have the costs. Monetary donations have not been able to keep pace with the increase in the number of deer donated. The HHH program was in need of help! The BGCA had a plan. We decided to do something about the funding so that we could make sure this program doesn’t have to limit donations. For every dollar donated, up to $5,000, we matched it. 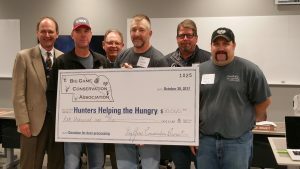 The Big Game Conservation is happy to say we reached the goal and donated $10,000 to the Hunters Helping the Hungry Program. 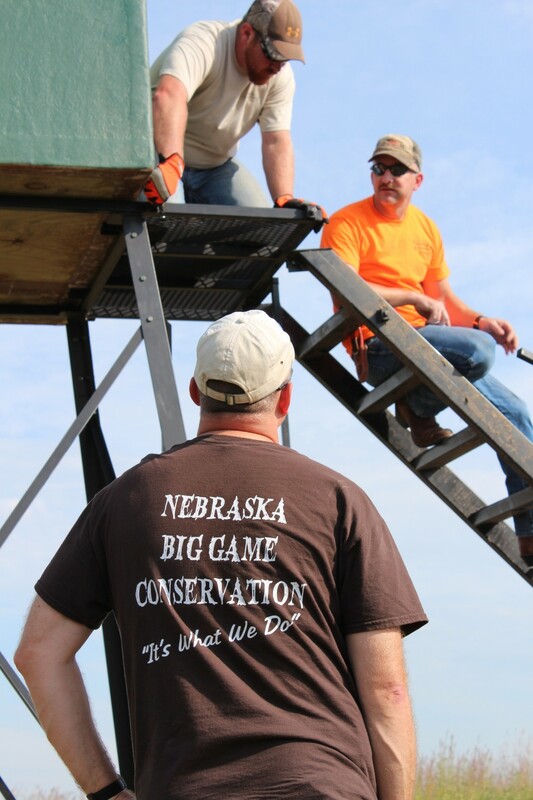 The Big Game Conservation Association – Lincoln Branch wanted to complete a project close to home. So this spring they began working with the Nebraska Game & Parks Commission Biologist responsible for Wagon Train Lake SRA. Of course, the goal was to establish a food source for deer and other game somewhere around the lake. The first order of business was to decide on the area that would be planted. Once that was determined then the next item on the agenda was shredding the 2.5 acres. In addition, the area was sprayed with Roundup to kill all of the weeds and grasses. Last but not least they planted a brassicas mix to provide forage late into the winter. 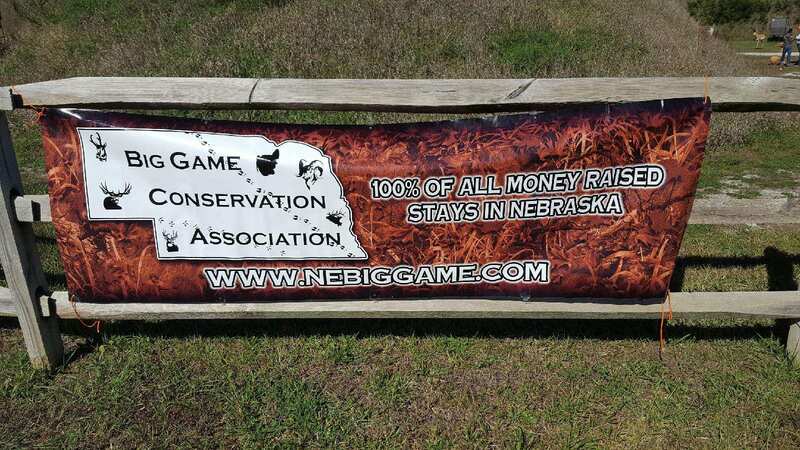 The Big Game Conservation Association worked with the Nebraska Game & Parks Outdoor Education Center on their current needs. It was determined that the need for a shade canopy over the outdoor archery shooting line was needed. With this in mind, the BGCA elected to donate $10,000 to achieve the match required to complete the project. The footings and support structure went into place during the Fall of 2017. During the Spring of 2018, the actual canopy will go on the structure. We hope that archers enjoy this addition for years to come! 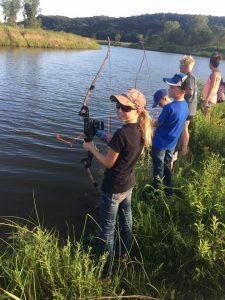 We provided 10 bows for a Bowfishing Mentor Program at Ponca State Park. The program began in the summer of 2014. Even more it serves as the catalyst for additional programs like this in Nebraska. 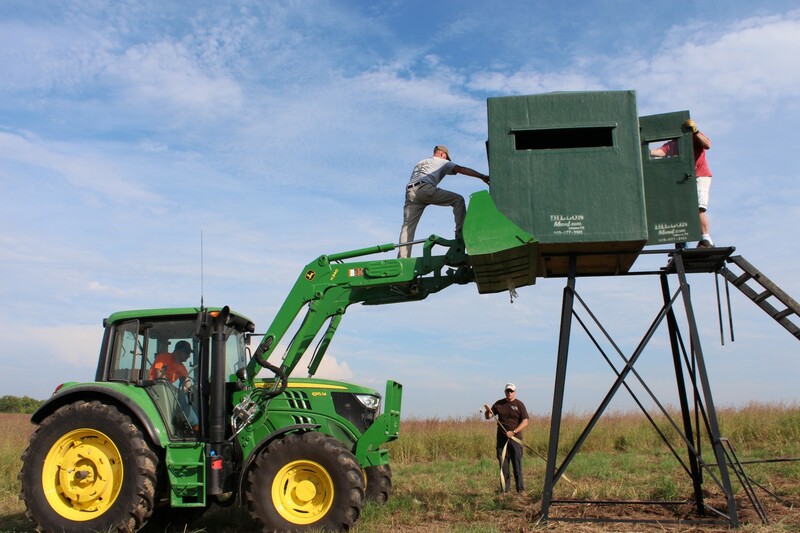 Each year we donate several thousand dollars in food plot seed to Nebraska Game & Parks. 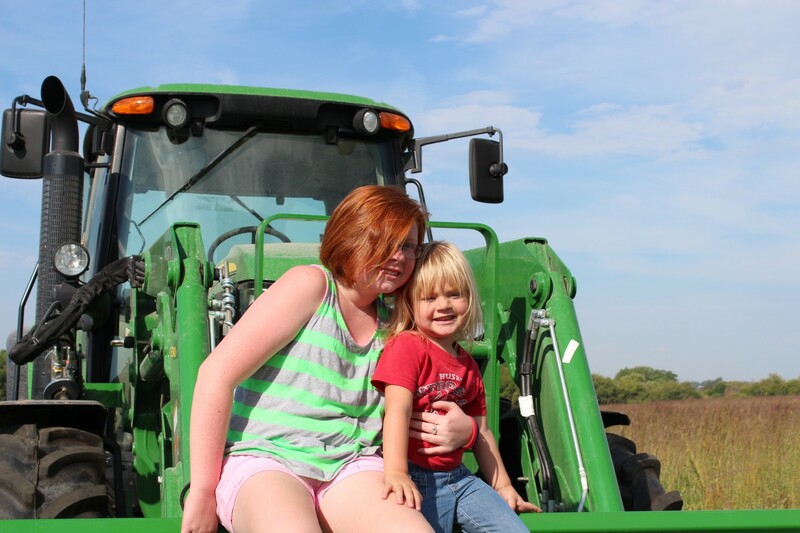 The seed is used throughout the state at various Wildlife Management Areas (WMA) and public access areas. As a result, public access areas are improving opportunities for success. 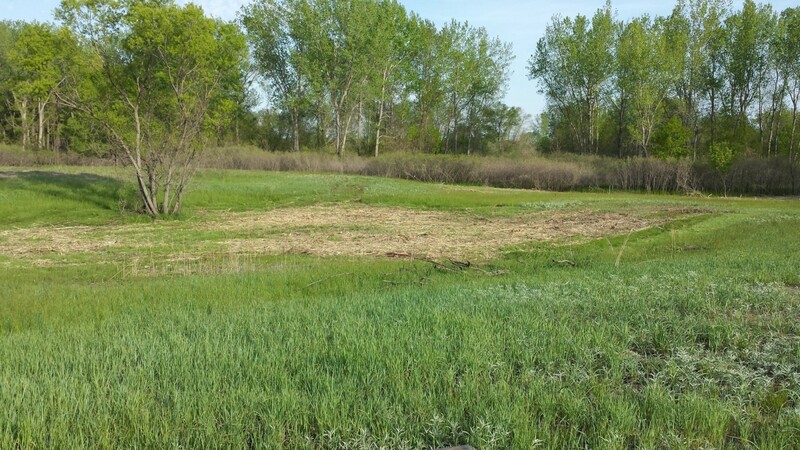 Nebraska Game & Parks Commission contacted us to fund a project at Sherman Reservoir State Recreation Area. 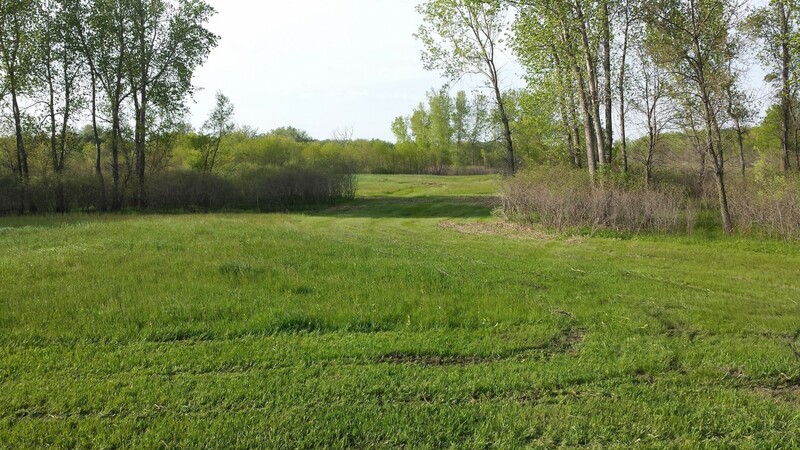 The idea was to plant trees and shrubs to create deer travel corridors and bedding area. Of course we discussed it and agreed it was in line with our mission. Not only will this benefit deer and turkey but upland and other small game. 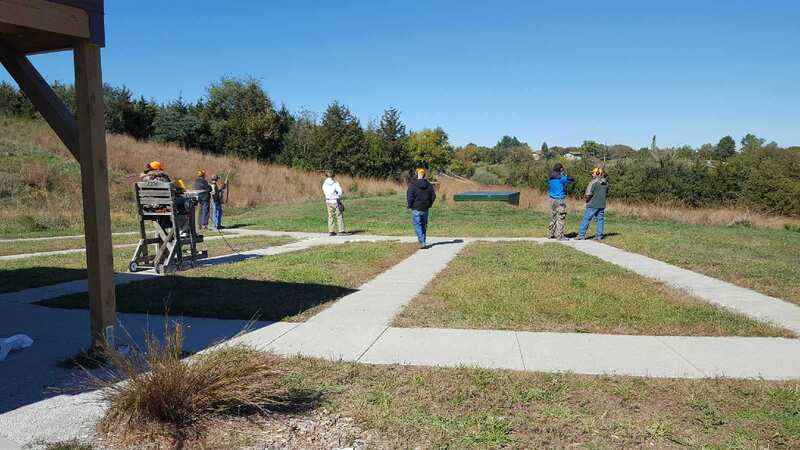 Each year during October the Youth Hunter Education Challenge Day takes place at Platte River State Park. 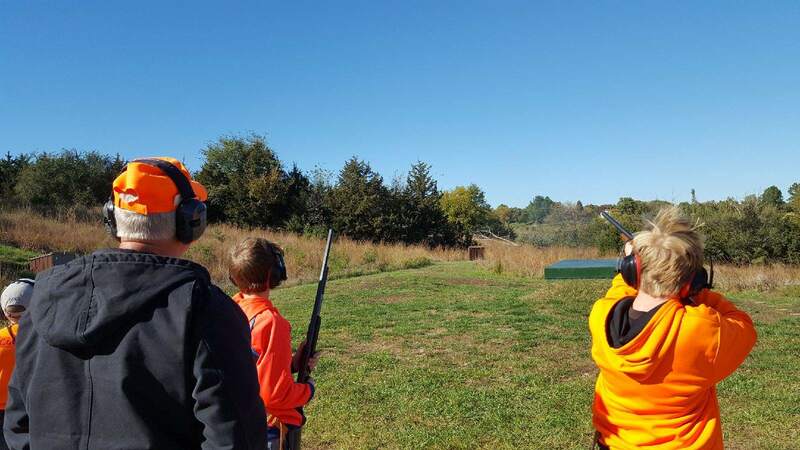 The event is for Nebraska youth that have successfully completed a Hunter Education course. Further, the Association sponsors all of the prizes that participants are competing for. 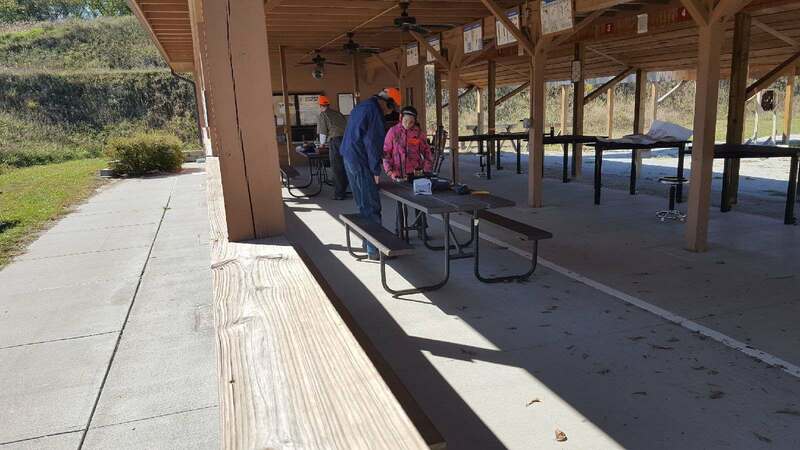 NRA’s Youth Hunter Education Challenge (YHEC) provides a fun environment for kids 18 and under to improve their hunting, marksmanship and safety skills. 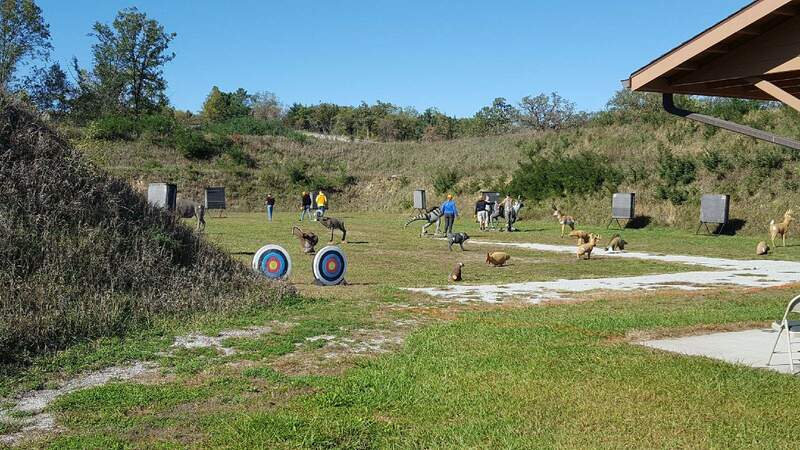 With this in mind, YHEC helps build upon skills learned in basic hunter education courses through its simulated hunting situations, live fire exercises, educational and responsibility events. In addition it encourages safer, lifelong hunting habits. From rifle, bow and muzzleloader shooting at life-sized targets, to wildlife identification, map and compass orienteering and more. To summarize, YHEC participants can get hands-on training in eight skill areas, giving them expertise in all methods of take and all types of game. 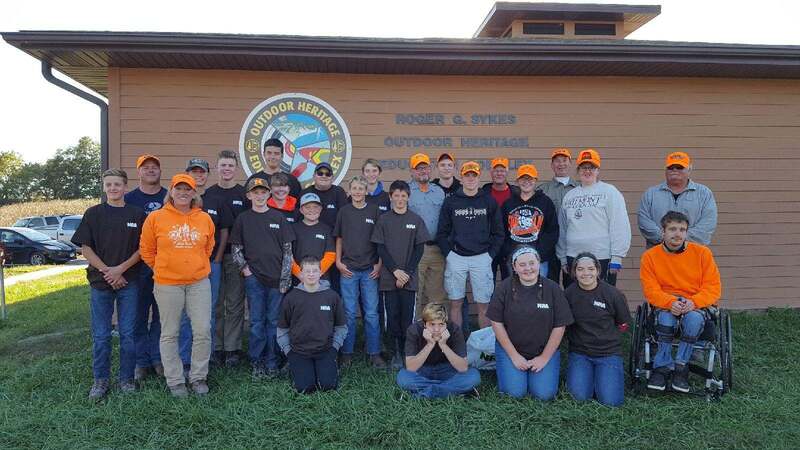 The Big Game Conservation Association – Northeast Branch wanted to help the youth mentoring programs in their area. 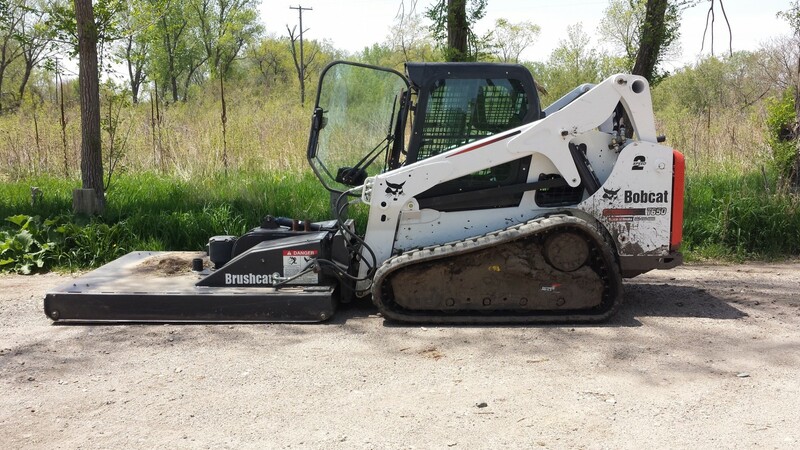 So they decided to provide some much needed equipment for the youth mentoring program at Ponca State Park. They worked with the mentors to determine what items were needed. 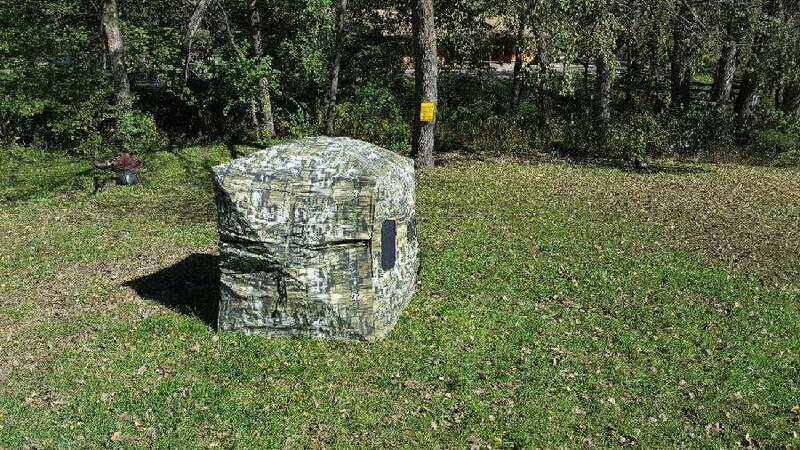 It was decided that the branch would provide three CVA .50 caliber muzzleloaders, two Double Bull 360 Surround View ground blinds and four swivel blind chairs. Do you have projects in your area that you think may be of interest to us? Let us know and we can do some research and see if the projects are in line with our mission.